Charles R. Snyder received his musical training at Capital University in Columbus, Ohio, where he was a protégé of Ellis E. Snyder. Mr. Snyder has also studied with Richard C. Johnston, Fred Waring, Norman Luboff, Helen Kemp, John Rutter, Sir David Willcocks, Donald Neuen, Sandra Willetts, Frauke Haasemann, James Gallagher, Craig Arnold, Alice Parker, Eph Ehly, Weston Noble, and Paul Christiansen. In 1977, following six years as a public school vocal and instrumental music educator in grades 1-12, Mr. Snyder became a staff member at The Presbyterian Church in Coshocton, Ohio. Over the years his assignments there have included the congregation’s education and youth ministries in addition to music. Mr. Snyder is the music director and conductor of the Coshocton Community Choir, a 100-voice auditioned ensemble he founded in 1971, and director of the Coshocton Singers, a regional ensemble for young singers grades 4-8, which he organized in 1987. 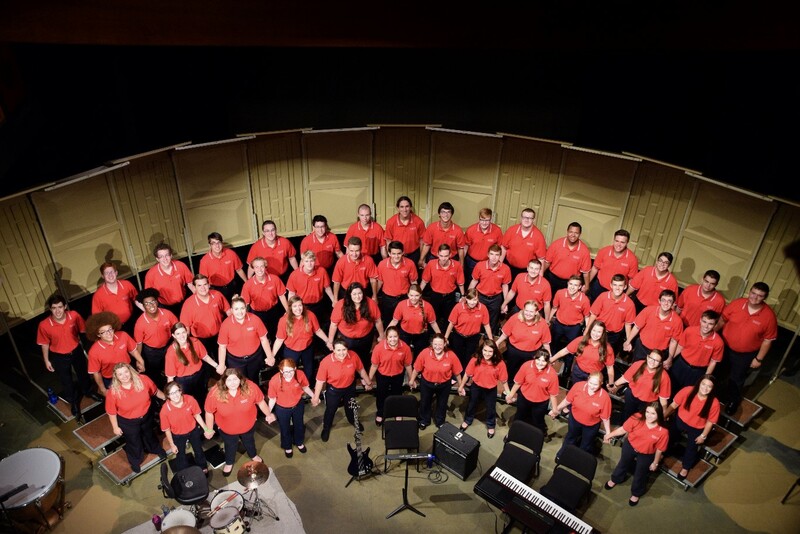 In 2002, Mr. Snyder established the Coshocton Youth Chorale which includes 52 high school singers from several counties. In 1995 he founded The Cardinal Chorale, a 47-voice ensemble of Ohio high school and collegiate singers. Their yearly schedule includes a week-long summer tour. In the spring of 1992, Mr. Snyder was selected in a state-wide search as the director and conductor of the 200-voice All-Ohio Youth Choir. Mr. Snyder frequently serves as a guest conductor and clinician. A faculty member of Muskingum University’s annual Choral Youth Fest since 1994, he was also a member of Muskingum’s voice faculty in 1999-2000. In the spring of 2005, Mr. Snyder was on the Muskingum campus, teaching voice and serving as director of choral activities during the sabbatical of Professor Robert Owen Jones. In May, 2000, he was chosen as one of the first five recipients of the Ovation Award, presented by the Vocal Arts Resource Network to honor those who instill and inspire love of vocal and choral music in Ohio. In the spring of 2008, he received the Community Music Educator Award from the Columbus Symphony; that July he was inducted into the Ohio State Fair’s Hall of Fame. In April, 2010, he received an Alumni Achievement Award from Capital University; a week later he was named Coshoctonian at the annual Coshocton County Chamber of Commerce dinner. In August, 2011, he received the Signature Sinfonian award from Phi Mu Alpha Sinfonia, the national music fraternity for men. His youth leadership experience has included eight summers as music director and dean of men at Lutheran Memorial Camp, ten years as a Scoutmaster, seven years as director of Muskingum Valley Scout Reservation, six years as advisor for Order of the Arrow Section EC-6A, four summers teaching at the Boy Scouts of America’s National Camping Schools, and 22 years as director of the All-Ohio Youth Choir. His contributions in the area of youth leadership have been recognized with the presentation of Scouting’s Silver Beaver Award, the Distinguished Service Award from the national Order of the Arrow, the God and Service Award for distinguished service to youth and the Church, and the Celtic Cross Award for faithful service to youth in Christian ministry.